FSIG is made up of over 70 students. The management team below has the pleasure of leading the charge. Kaede is a Master of Arts in Law and Diplomacy candidate focusing on Business for Social Impact and Development Economics at the Fletcher School. Kaede’s background is in the nonprofit sector with program management experience in international philanthropy, disaster recovery, nonprofit capacity building and educational inequality. She’s interested in market-based approaches to development and hopes to continue expanding her experience in this sector after Fletcher. If she had all the time and money in the world, she would trot the globe and learn as many languages as she can. Novie is a second year Master of International Business student at the Fletcher School. 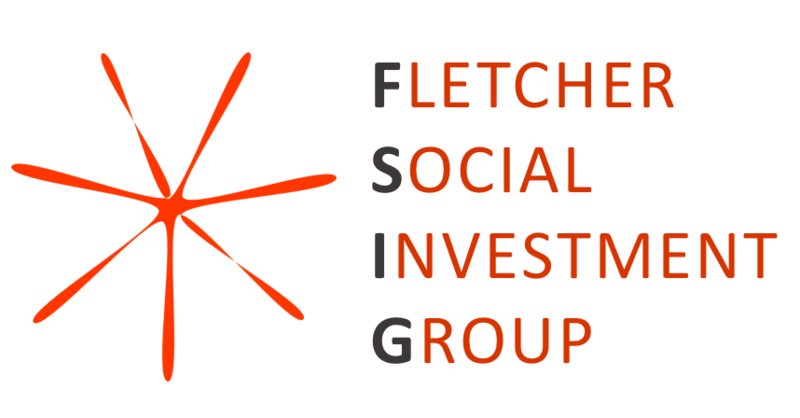 Before coming to Fletcher, she worked in a social policy program at the California Department of Insurance that was dedicated to helping insurance companies make community development investments, spurring her interest in impact investing and the role of the financial services industry in promoting economic development. At Fletcher, Novie is studying International Finance and Banking and completed her summer internship at State Street Global Advisors. Novie is also leading the 2017-2018 MIINT Team. Anantha is a Master of International Business Candidate at the Fletcher School, pursuing dual concentrations in Development Economics and Business for Social Impact. Having begun his career in corporate communications and investor relations, his most recent experience includes working for the Global Impact Investing Network (GIIN) as a member of the team overseeing the operation and management of an online impact investment platform designed for investors and fund managers. Anantha is particularly focused on advancing the practice of rigorous and meaningful impact measurement by investors seeking to generate positive social and environmental outcomes alongside a financial return. Alexandra is a dual-degree student following a Master of Arts in Law and Diplomacy at the Fletcher School, Tufts University and a Master in Management at HEC Paris Business School. She’s passionate about impact investing, from both the qualitative and financial investment side and the social, more qualitative impact dimension. Prior to graduate school, she worked for an Indian consultancy accompanying grassroots social entrepreneurs set up and scale up their ventures and she managed the growth of a promising education publishing tech startup in France. She also worked as a Financial and Extra Financial Analyst for a fast-growing social crowdequity platform in France that empowers retail investors to invest in impact while providing much-needed equity to social enterprises, thus conducting due diligence on edtech, cultural and food packaging industries.